This year’s summer party took place on the premises of schwartz GmbH in Simmerath on July 6th. All employees of schwartz GmbH and Hütte GmbH were invited, together with their partners and children. The time has come for us to look back to a successful year. Our performance in the last 12 months is due, first and foremost, to the diligence and commitment of our workforce. 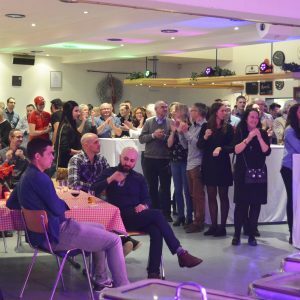 At the traditional Christmas party bringing together colleagues from schwartz GmbH and Hütte GmbH, we jointly celebrated this achievement a few days ago. 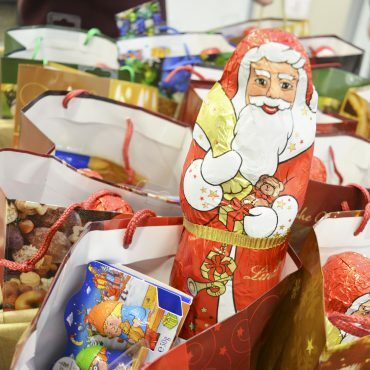 … and brought a chocolate surprise for each of our employees’ children. We hope St. Nicholas also thought of you and wish you a happy and peaceful Advent. 30th June 2017. 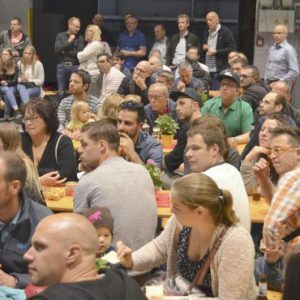 Despite the lack of summer weather, the schwartz GmbH and Hütte GmbH employees, with their partners and children, gathered at the Simmerath premises for the traditional summer party.